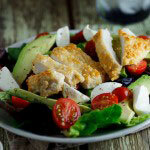 Home » Pecorino crumbed Chicken on salad. No long explanations today about why this is delicious. All you need to know is this is very low-carb as the mentioned ‘crumb’ is simply finely grated pecorino and it is incredibly delicious. 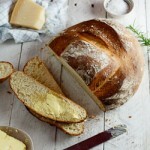 The cheese adds a lovely richness and feels completely indulgent. 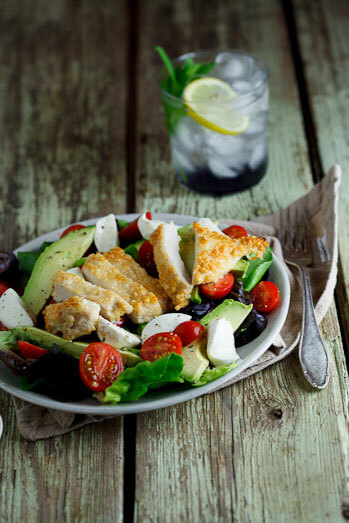 Served on a salad of baby butter lettuce, tomatoes, bocconcini and avo, this makes a great lunch or supper. Place the egg whites and Pecorino in two separate bowls. With a rolling pin/meat mallet, flatten the chicken breasts slightly. Cover the chicken breasts first with egg white and then with the pecorino. You can repeat this process for a thicker crust. To cook the chicken, fry/bake until golden brown and cooked through. If baking, place on a baking sheet lined with baking paper and place in a very hot oven. 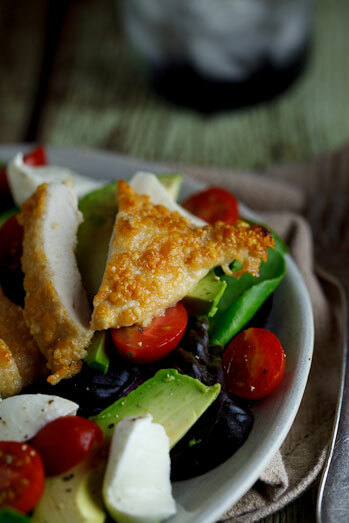 To serve, slice the chicken and serve with salad. 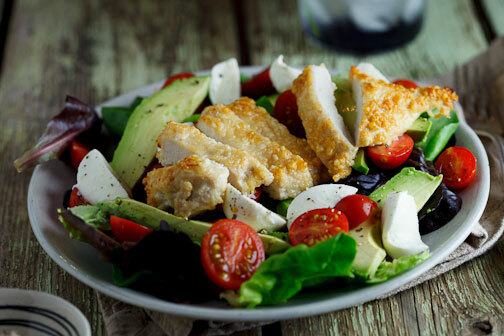 Your chicken salad looks delicious! 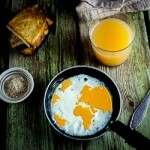 Saw your photo on Food Gawker. Lovely salad. That chicken looks so delicious yet so simple!